The Supreme Court last week announced that it would again hear Fisher v. Texas, an affirmative action case in which a white woman claims she was denied admission to the University of Texas because of her race. In 2013, the court ruled narrowly on the case, requiring the federal appeals court that had ruled against the woman, Abigail Fisher, to re-examine her arguments. Last year, the appeals court again decided against Fisher, affirming that race could be one of the factors considered in trying to diversify the student body at the university. In 2013, ProPublica published one of the most widely read analyses of the Fisher case. It highlighted an overlooked, deeply ironic fact about the case: when one actually looked at Fisher’s records, she actually had not been denied admission because of her race, but rather because of her inadequate academic achievements. Turns out, that is hardly the only fascinating twist in the Fisher case. Joan Biskupic’s 2014 book “Breaking In: The Rise of Sonia Sotomayor and the Politics of Justice” revealed the very personal and charged dealings among the court’s justices in taking up the case. Biskupic is an editor in charge of Legal Affairs at Reuters. She was a member of the Reuters team that was a finalist for the 2015 Pulitzer Prize in explanatory reporting. Biskupic and her colleagues, Janet Roberts and John Shiffman, used data analysis to reveal how an elite cadre of lawyers enjoy extraordinary access to the Supreme Court, raising doubts about the ideal of equal justice. Biskupic agreed to a brief written Q and A with ProPublica. Q: Given what happened two years ago, were you surprised to see the court take the Fisher case again? Or not surprised in the least? A: I didn’t know what was happening behind the scenes as the justices delayed, for weeks, announcement of whether they would take it. But I knew there was some unfinished business among the justices from 2013. And I suspected that at least four justices (the number needed to hear a case) were displeased with the decision by the U.S. court of Appeals for the Fifth Circuit again upholding the University of Texas policy. Q: When the court sent the case back to the Appeals court in 2013, there seemed to be mostly disappointment and or relief among the parties. But you discovered there was a lot more to that narrow ruling than either side could have known. Tell us about that. A: The justices had taken an unusually long time with the case, eight months from oral argument to ruling. But the 7–1 decision handed down in June 2013 seemed particularly tame, given that protracted delay and earlier signals from the court. Remember, the court had reached out to grant the case in February 2012, over protests from the University of Texas that nothing was at stake anymore because Abigail Fisher had already graduated from her second-choice school, Louisiana State University. Then when the case was argued in October 2012, it appeared the five conservatives, including swing vote Justice Anthony Kennedy, were ready to strike down the UT program and restrict affirmation action nationwide. As I was doing research for my book, I tried to find out what had transpired and discovered a majority had been ready to rule against UT, but that during the secret deliberations that followed the vote, Justice Sonia Sotomayor had written a scathing dissent that led the majority to back down. Individual justices from both sides of the ideological divide revealed to me elements of the negotiations after what was essentially a 5–3 split against the University of Texas (Justice Elena Kagan had recused). Not all the justices would talk, and Sotomayor declined to disclose private negotiations. But I heard enough to know Sotomayor had drafted a dissent suffused with the personal experience of her Puerto Rican Bronx background. She was mounting a strong defense of affirmative action while denouncing the majority’s attitude toward race and racial policy. The tone from the nation’s first Latina justice: You haven’t lived it and you don’t get it. Justice Stephen Breyer (a liberal who began in dissent with Sotomayor and Justice Ruth Bader Ginsburg) helped broker the compromise with Kennedy, who was writing the majority opinion. Kennedy had dissented when the court last upheld affirmative action, in the 2003 University of Michigan case. But, like Breyer, Kennedy wanted to lower the temperature among the justices and he was open to a position that would draw as many justices as possible to an opinion. The five conservatives were split on their rationale anyway; Clarence Thomas, for example, wanting to end all race-based classifications. Kennedy knew another opportunity to review affirmative action would come their way. With Chief Justice Roberts supporting the shift, Kennedy amended his opinion to allow the UT program to stand – temporarily at least – and to return the case to the Fifth Circuit for another review. Kennedy’s opinion did fault the Fifth for deferring to the university rather than undertaking its own inquiry into whether UT could achieve sufficient campus diversity without considering race in applications. Sotomayor filed away her draft dissent, and she and Breyer signed Kennedy’s opinion. Justice Ginsburg, the senior liberal on the court, continued to dissent from the majority because she did not think the Fisher case should be sent back to the lower court. Q: Are you able to say how common or rare such a backstory takes place with the court – that emotions run so high among the justices that peace has to be brokered? This latest term, in which cases on gay marriage and Obamacare were decided, suggests hard feelings were on open display. 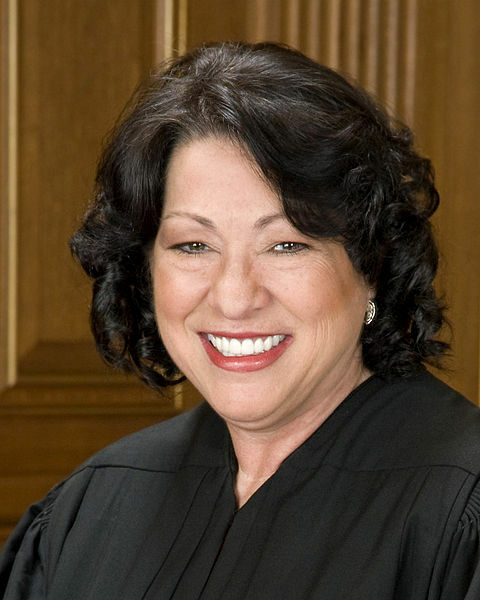 Q: Your book on Justice Sotomayor traced her ascent to the court, and her early impact on it. She doesn’t seem shy, for she did write that dissent in which she said: “Race matters because of the slights, the snickers, the silent judgments that reinforce that most crippling of thoughts: ‘I do not belong here. '” Has she changed the way the court talks about and debates race? Q: Is there much doubt in your mind how the court will ultimately rule when it takes up Fisher in the fall? A: The fact that they’ve taken it again suggests they’re ready to strike down the program. They plainly are not going to let the Fifth Circuit have the last word. But I’m reluctant to call the case until I’ve heard the oral arguments.